Over the years, we've talked a great deal about hydraulic fracturing, or "fracking," on this blog. For instance, we've pointed out that fracking contaminates water supplies, pollutes the air, uses huge amounts of (increasingly scarce) water, releases the potent greenhouse gas methane, contaminates the soil, destroys forests and wildlife habitats, and even triggers earthquakes. 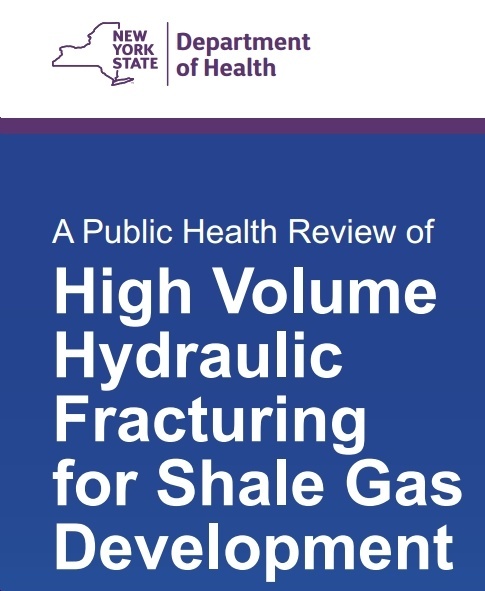 We've also pointed out the gap between the facts of fracking and the industry's "don't-worry-be-happy" propaganda, while noting the lack of oversight by federal and state authorities, and even cases where government outright did the fracking industry's bidding -- at the public's expense. Here are five recommended reads for today (12/29/14). The following are ten top cleantech stories we followed closely in 2014. 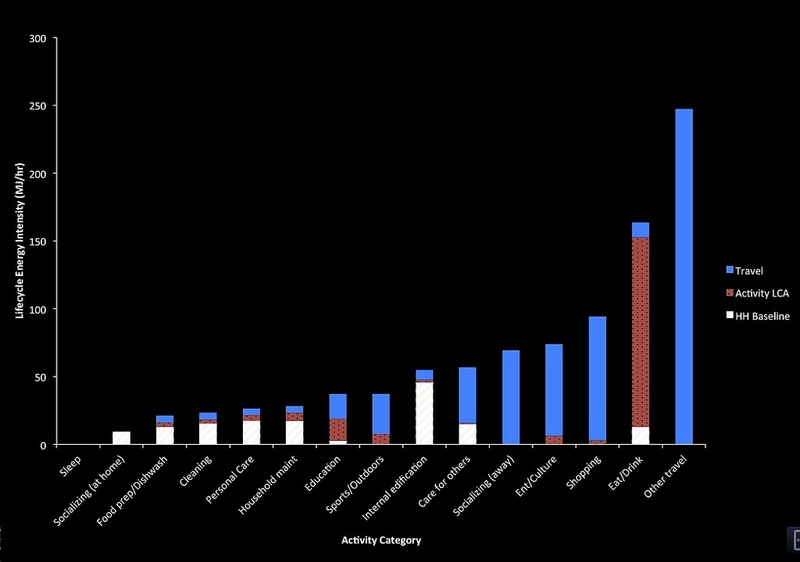 Of course, this is not a comprehensive list, as there's so much happening in the vast world of cleantech. Still, we think the following are fascinating, important stories well worth noting as 2014 comes to a close. New Research: The Best Things in Life Are Also the Most Energy Efficient? Over the years, I've heard people (mostly those who make more money by selling more energy) argue that there's a positive correlation between human happiness and energy consumption. And while there may be some truth to that assertion, new research finds that there's actually a "surprising link between things that make us happy and things that save energy." 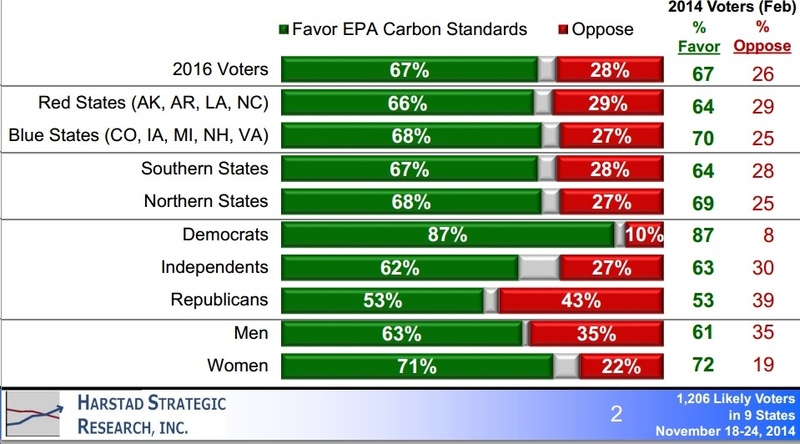 New polling by Harstad Strategic Research, Inc. finds strong support for the proposed EPA carbon pollution reduction standards (aka, the "Clean Power Plan"). That includes two thirds of voters in important states like Colorado, Iowa, Michigan, New Hampshire, Louisiana and Virginia. Support is across the board regionally (two thirds in both northern and southern states) and politically, with majorities of Republicans (53%), Independents (62%) and Democrats (87%) all on board. So who's opposed to these pollution reduction standards, other than the fossil fuel industry? Despite all the money they spend to deny climate science and promote fossil fuels, it turns out that only a small minority of the U.S. electorate is with them. So sad. Sec. of State John Kerry: "Make a transition towards clean energy the only policy that you’ll accept"
The following excerpt from Secretary of State John Kerry's speech yesterday at the climate talks in Lima, Peru, explains very well that dealing with climate change is a "win-win" situation -- maintaining a habitable planet while stimulating enormous economic growth by switching from dirty to clean energy. As Secretary Kerry put it, it's time to "make a transition towards clean energy the only policy that you’ll accept." We couldn't agree more. In 2013, the southeastern U.S. produced 1,171 terawatt-hours (TWh) of electricity. Of that, 67.7% was generated using health-and-environment-harming coal and natural gas, with another 25% produced by expensive nuclear power plants. Only 2.2% was generated by "other renewables," and almost none of that was solar or wind. 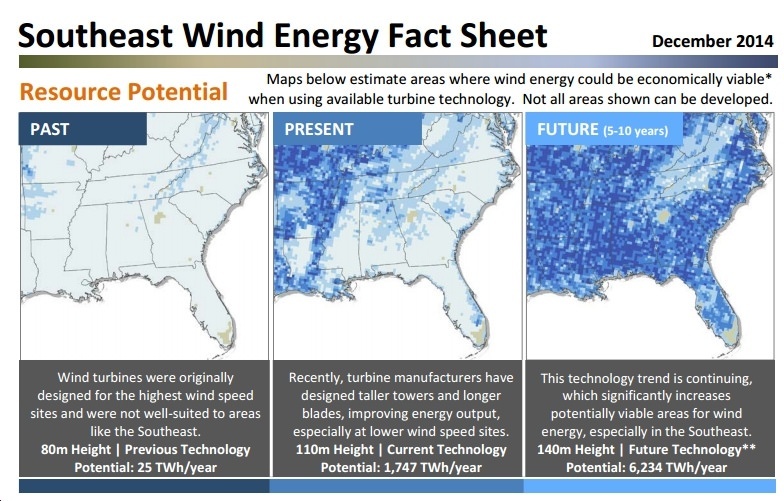 Yet, according to this new fact sheet from the Southeastern Wind Coalition, the southeastern U.S. has the potential within just 5-10 years to produce 6,234 TWh/year -- more than five times the entire amount of electricity the southeastern U.S. generated in 2013. Climate Nexus Demolishes "WSJ's $21 Billion Subsidy Hypocrisy"
The following commentary, from Climate Nexus, is well worth passing along. As international climate negotiations kick off in Peru, the Washington Post reminds us of the broad support among the American public for moving to a clean energy economy. Over at Grist, David Roberts drives a sharp stake through the heart of the idea that President Obama "might use Keystone XL as a bargaining chip to trade in exchange for Republican support for … something else." According to Roberts, "There is nothing to this Keystone trade talk. It is vaporware." For good measure, Roberts adds that it is "empty nonsense." In sum: in his view, it's not happening. 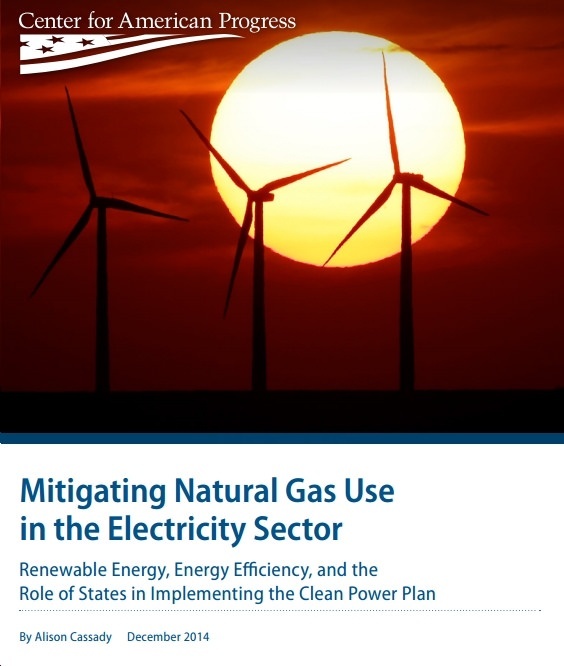 The following policy recommendations, which are applicable to every state in America, come from this new report ("Mitigating Natural Gas Use in the Electricity Sector: Renewable Energy, Energy Efficiency, and the Role of States in Implementing the Clean Power Plan").